While shopping online is convenient, the process of scrolling through the website’s seemingly endless inventory is a frequent customer pain point. Consumers are also conflicted when it comes to companies obtaining their personal information. However, consumers increasingly expect brands to cater to their custom needs throughout the omni-channel store experience. 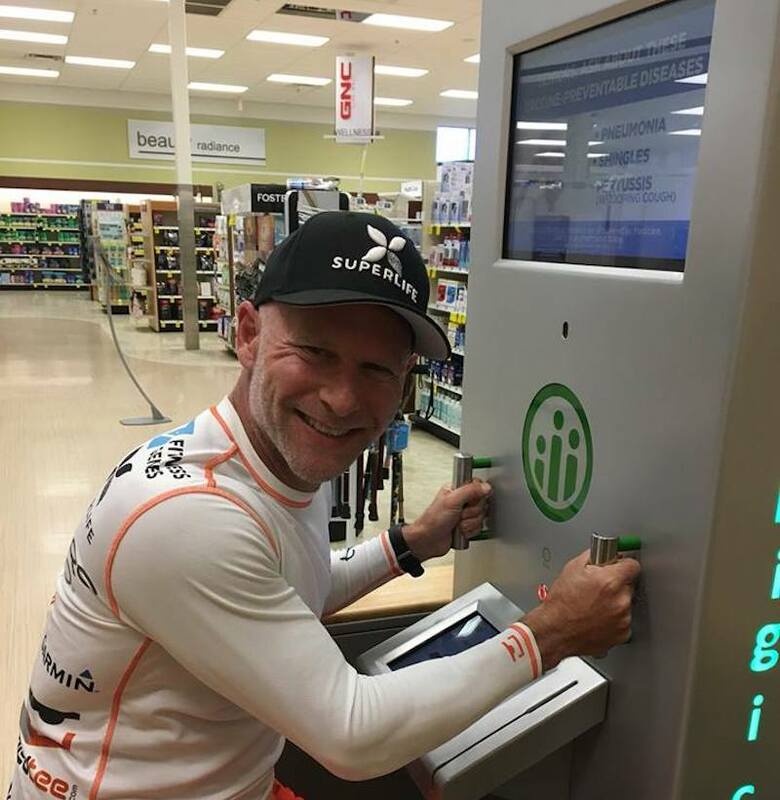 Wegmans Food Markets partnered with higi, a maker of health screening stations, to create health kiosks to allow customers and employees to measure their weight, body mass index (BMI), pulse and blood pressure. Customers can securely share higi-collected data with the Wegman’s pharmacy team through higi’s integration with the McKesson Clinical Programs Solution (CPS) platform, which integrates with pharmacy workflows and provides actionable notifications in real time. Biometric data collected by higi is incorporated into the CPS platform, enabling Wegmans pharmacists to seamlessly react to each consumer’s health concerns—especially those at risk for hypertension. Beauty retailer Sephora’s in-store electronic kiosks provide customers with beauty product recommendations to help them select the best products for their complexions and lifestyles. For skincare concerns, the Skincare IQ program starts with a moisture meter that measures customers’ skin hydration levels in three different places: their chin, cheeks, and forehead. After, the user answers a questionnaire to determine his or her skin’s needs. Once this information is processed and compiled, the kiosk displays a list of products tailor-made for their skin. Walgreens is collaborating with NewYork-Presbyterian Hospital to offer NYP OnDemand kiosks in private rooms inside of the drugstore chain’s stores. Through these kiosks, users are provided with instant examination and diagnosis services as well as treatment for non-life threatening illnesses and injuries through NYP OnDemand Urgent Care. The kiosks provide virtual access to board-certified Weill Cornell Medicine emergency medicine physicians, who provide exams via a high-definition video-conference connection. At the end of the examination, if the physician writes a prescription, it can be instantly sent to the patient’s preferred pharmacy. The kiosks also include medical devices which provide key information to the physician during the virtual visit. Big box wholesaler Sam’s Club partnered with digital health kiosk company, higi, to offer free, self-service health screenings to customers at 622 national Sam’s Club locations with pharmacies. Through the Chicago-based higi’s kiosks, users can self-check their blood pressure, pulse, weight and body mass index using over 80 integrated health devices, activity trackers and apps. The information is stored on an online platform where, once a user creates a personal account, and has his or her vitals gamified, and converted to a single “HigiScore,” which represents a user’s overall wellness. To access the platform, members can log-in online and through a mobile app to track their health over time. Pursuant Health, a health kiosk company, is rolling out self-service kiosks, featuring retinal screening capabilities which provide individuals with all-in-one check-up solutions. Upon completion of a non-mydriatic exam, a user’s retinal images are evaluated by a licensed ophthalmologist, and the results are then shared back with the primary care physician for treatment and a follow-up. As an additional financial incentive, individuals also may receive a gift card upon completion of the exam. By offering more personalized experiences, consumers are not only incentivized to go to a physical location to take health and wellness assessments but, in return, are provided with better services and more actionable information. Through the integration of real-time assessment tools, users instantly are provided with an emotional connection to the brand and an incentive to return to the store. These are just a few tactics that retailers are employing to improve their customers’ experience—for more information, see PSFK’s report Elevating In-Store Experience With Digital Touchpoints.